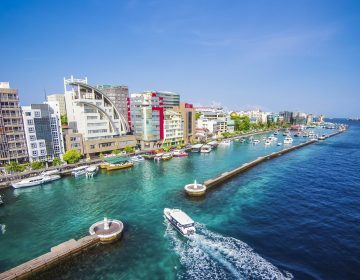 The magnificent archipelago of the Maldives is not only home to a myriad of magical tropical islands fringed by white sandy beaches, swaying tropical palms and surrounded by gin-clear waters teeming with marine life – it also offers some of the most delicious cuisine in the region. Traditional Maldivian cuisine, also known as Dhivehi cuisine, provides a wonderful variety of tastes and flavors, ranging from crunchy snacks and street foods accompanied by wood-fired chapati bread to complex and deliciously spicy curries. The cuisine of the Maldives is a rich assemblage of traditional flavors with strong influences from its neighboring countries, such as India and Sri Lanka. In the past, Maldivians depended on essential ingredients such as fish, coconuts, breadfruit, millet and tubers, and over time, with the influence of foreigners from ancient trade and travel, Maldivian cuisine developed a distinctive blend with its own unique flavors, symbolizing a unique culinary identity. 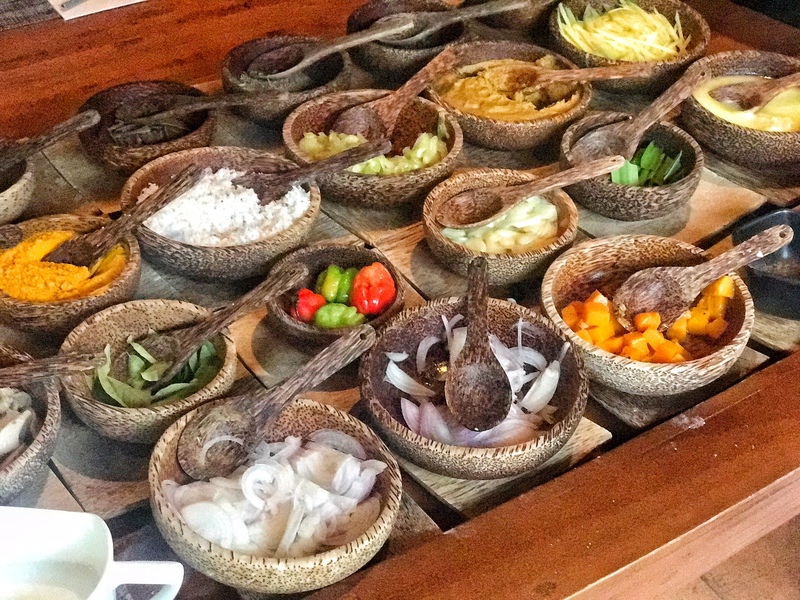 Today, traditional Maldivian cuisine is based on three main ingredients and their derivatives, namely coconut, fish, and starches containing grains and vegetables. 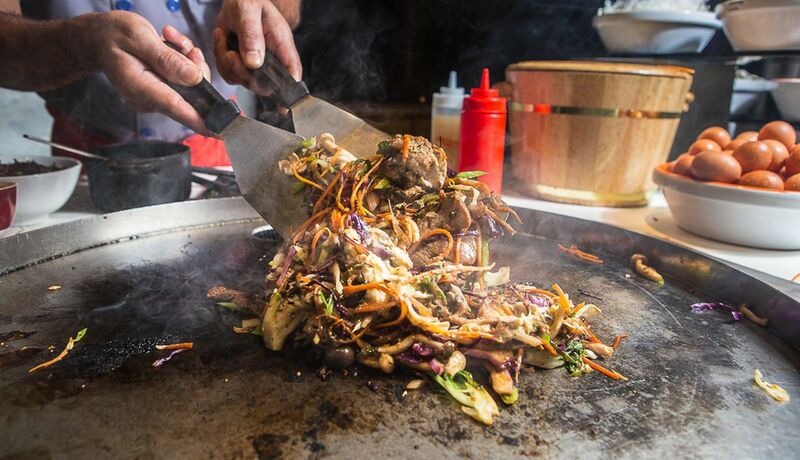 The delicious food boasts a distinct tang made up of mild spiciness, delicate sweetness, and an overall exotic taste, and is prepared using ancient cooking traditions that have been passed down through the generations. Coconuts, called ‘kurumba’ in Dhivehi, are grown on every island in the Maldives and are such a vital part of the culture and cuisine that the coconut palm has been declared the country’s national tree. 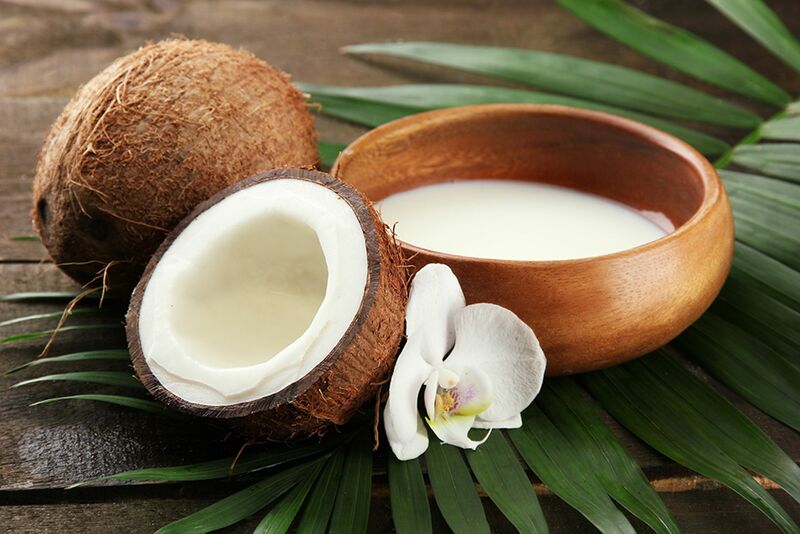 One of the main ingredients in Maldivian cuisine, the coconut is used in a variety of forms from grated and shaved to a liquid form such as coconut milk, and as oil in dishes that are deep-fried. 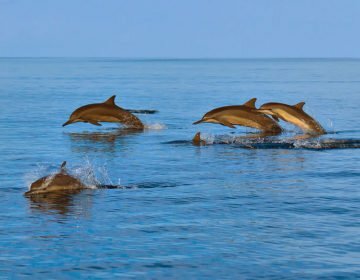 It’s not surprising that fish is the star ingredient in the ocean-bound island nation’s cuisine, with tuna being the king. 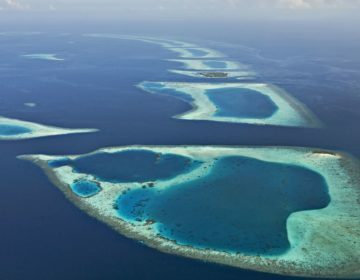 The Maldives is home to a variety of tuna species, namely frigate tuna (raagondi), little tunny (latti), skipjack tuna, and yellowfin tuna (kanneli), which is used in many dishes either dried or fresh. 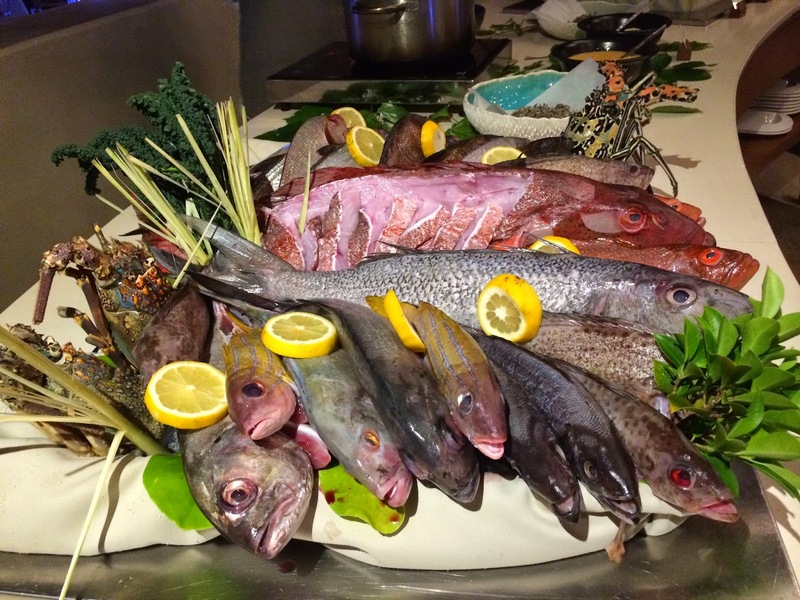 Other popular fish species also used include bigeye scad (mushimas), mahi-mahi (fiyala), mackerel scad (rimmas), and wahoo (kurumas), which can be eaten boiled or processed. Tuna is prepared cooked, cured, smoked or sundried, while other fish are typically grilled or deep-fried. Processed tuna, also known as Maldive fish, is used as pieces or as shavings and dry-processed, and tuna curries use raw or still-soft processed tuna cut into small sections. Tuna is also used to make snacks or ‘short eats’ known as bajiya (the local version of the Indian samosa), kulhi bōkiba, fatafolhi, kavaabu, gulha, and masroshi. Mas huni is a traditional Maldivian breakfast item made from dry processed tuna mixed with coconut, onions, and chili. Another vital ingredient in Maldivian cuisine is the tuna-based thick brown paste known as rihaakuru. 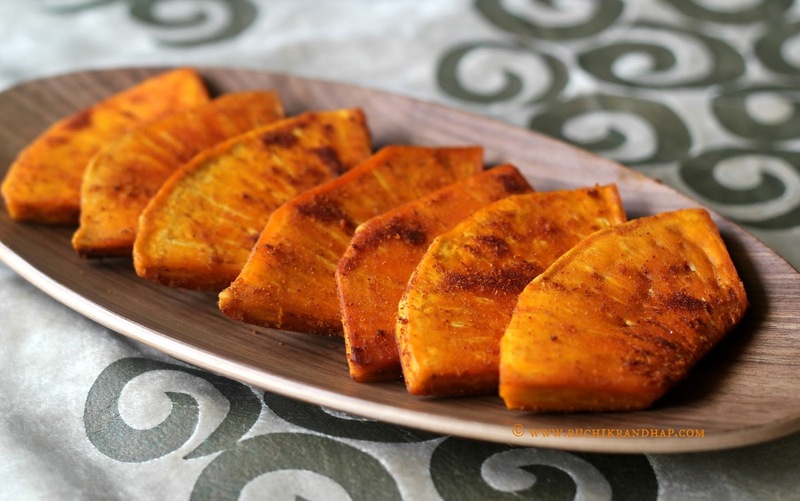 Starches are a staple in Maldivian cuisine and are used in a variety of forms, including tubers such as cassava (dandialuvi), sweet potato (kattala), and taro (ala); fruits like breadfruit (bambukeyo) or screwpine (kashikeyo); and rice, which is ground into flour or eaten boiled. Tubers and breadfruit are also eaten boiled, while the screwpine fruit is mostly eaten raw after having been cut into thin slices. Curries are one of the most popular dishes in Maldivian cuisine and vary from fish and chicken curries to vegetable curries, rich with spices and exotic flavors. Top of the curry dishes is Mas Riha, which is made with diced fresh tuna, coconut, peppers, and plenty of fresh chilies, while a chicken curry known as Kukulhu Riha is also a favorite filled with a different mixture of spices. Vegetable curries are also on the menu and include delicious non-meat ingredients such as eggplant (bashi), pumpkin (barabō), tora, chichanda, and muranga, as well as unripe green banana, coconut milk and a curry paste blended with onions, herbs, spices and chili peppers. Curries are usually eaten with steamed rice or with roshi or chapati (unleavened flatbread). Maldivian cuisine also features a variety of delectable specialty dishes, prepared with fresh fish, chicken and meat, and fresh local fruits and vegetables. Mas huni is a famous tuna salad with coconut that is traditionally eaten for breakfast with chapati bread. The fresh, spicy dish is made with tuna, coconut, chili, and onion, blended, seasoned and served with chapati bread. 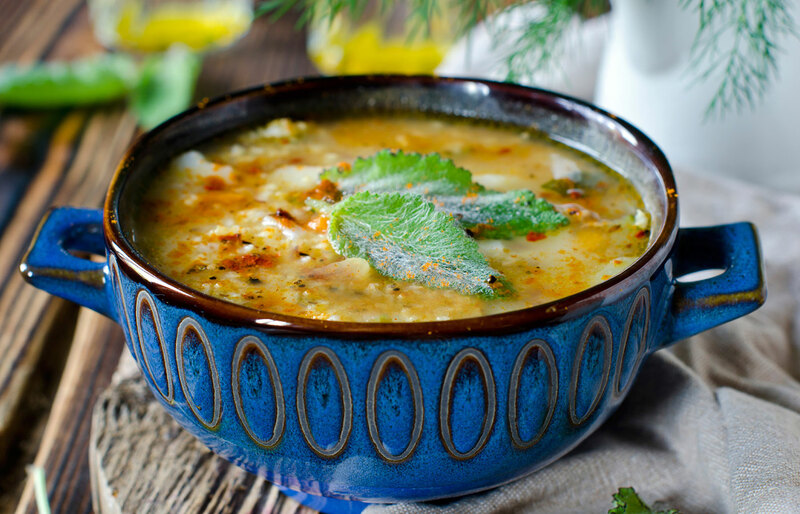 Garudhiya (Maldivian fish soup) is a favorite dish eaten by Maldivians almost every day. Served hot with rice, lime and plenty of chilies, the soup is packed with fresh raw tuna and chopped chili, with a dash of lime. Kulhi boakiba or fish cakes have been eaten by Maldivians for thousands of years, particularly on special occasions like festivals and feasts. Prepared with smoked tuna, grated coconut, chopped chili peppers, ginger and rice, the fish cake is also eaten as a short-eat during evening tea. Handulu Bondibai (sweetened sticky rice) is a unique dessert made for extra special occasions like the birth of a child. Eaten with ‘kulhimas’ or ‘bondibai’ (breadfruit, sago or rice parcels), this sweetened sticky rice dish is distributed to all households in the islands. Banbukeylu harissa – a curry of steamed breadfruit, chili, onion, and coconut. Bis keemiyaa – a pastry filled with tuna and hardboiled egg. Hedhikaa – traditional snacks, or ‘short eats,’ such as samosas, sold by small cafés. Garudhiya – a fish broth prepared using chilies, onion and lemon juice. Rihaakuru – a brown paste made from concentrated fish stock. 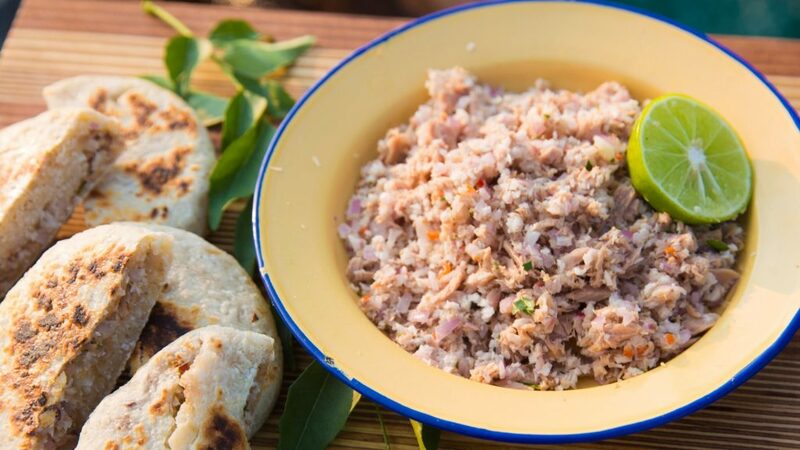 Mas huni – mashed tuna mixed with coconut, chili, and onion and served for breakfast with roshi (chapati). Thelui mas – spicy fried fish such as grouper, swordfish, jobfish or octopus. 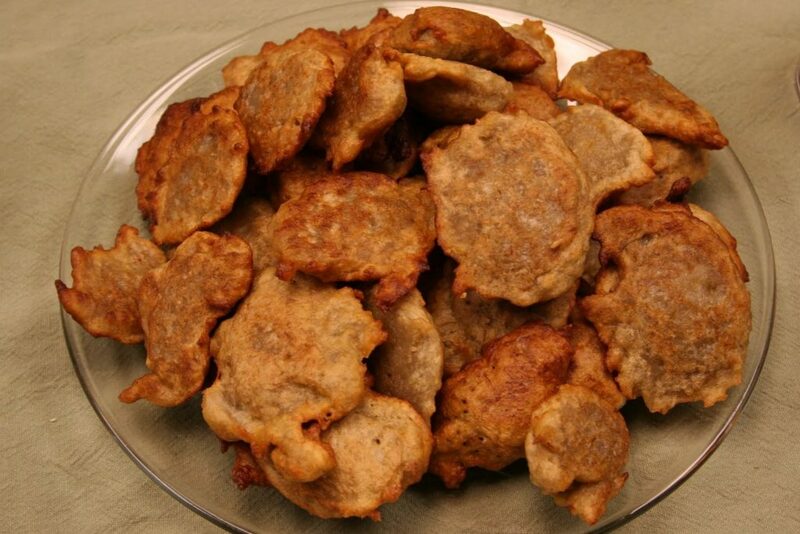 Kavaabu – deep-fried snacks made from rice, tuna, coconut, lentils, and spices. Dhon Riha – tuna curry with coconut, mango, cinnamon, and ginger. Dhonkeyo Kajuru – a fried banana cake flavored with rose water or vanilla. Sai – a Maldivian tea. Raa – a toddy tapped from palm trees, sometimes left to ferment and thus slightly alcoholic – the closest any Maldivian gets to alcohol. The small, motorcycle-packed lanes of Malé are lined with tiny roadside eateries and bustling markets that serve a variety of mouthwatering street food and local delicacies such as bajiya – a sweet pastry stuffed with fish, coconut and onions; kulhi borkibaa – spicy fish cakes; gulha – sweet pastry balls filled with smoked fish; theluli mas – fried fish with chili and garlic; and kavaabu – deep-fried snacks made from rice, tuna, coconut, lentils and spices.